Everywhere I went his weekend I could hear and see baby crows. Most of them are fledged and out of the nest. Just because they are out and about they still need constant attention and feeding. 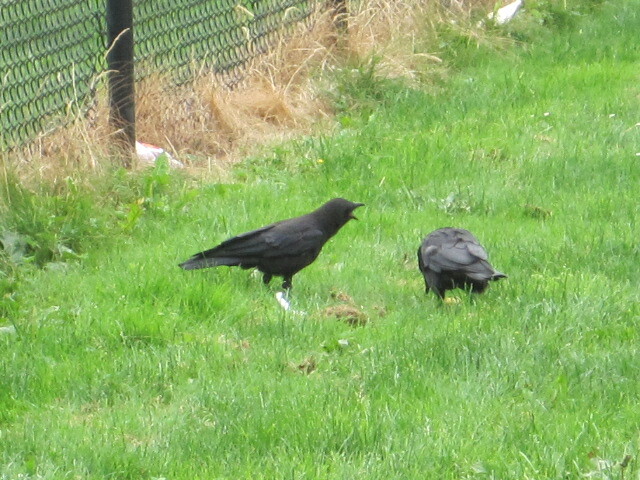 They beg and cry at their parents until their poor adult crow heads must crack. It is a dangerous time for the little ones. They look like an adult but have none of the skills to survive the world. Imagine a human baby learning to talk and feeding itself with a fully developed human body. Now you understand the crow parent’s dilemma. Here is a little video showing how persistent they are about nagging for food. David and I went for a little motorcycle ride and came upon this little crow being trained by his parent on how to get a drink of water. He ended up with a beak of slime but he certainly was getting it. Then we went to Seaheast Park to find ourselves being serenaded by a whole batch of baby crows. Their parents know this is a honey hole of good eats and had all brought the children to the beach. Just like humans. 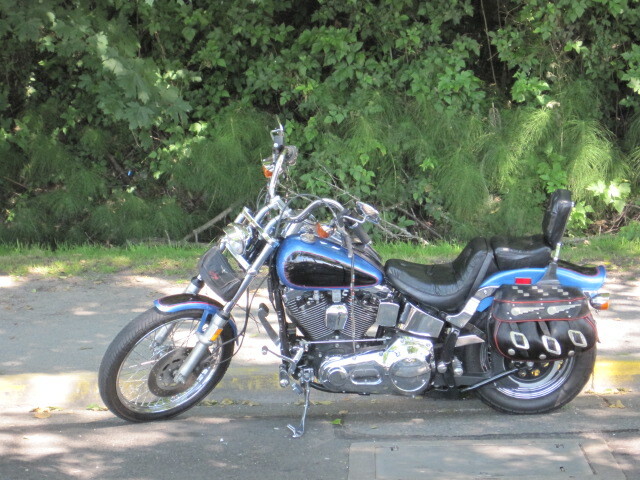 Oh and here is a picture of Mabel our dear 23-year-old motorcycle. gotta love seeing so many babies this year!